River Kwai Car Hire | Car Hire in River Kwai | Hiring a Car in River Kwai | TheRiverKwai.Com. Car Hire in River Kwai. You will be able to book cars at every international airport, but we would recommend that you only use this as a pick up point. Cars are often in great demand especially in peak season and one may not be available or the correct type of car. 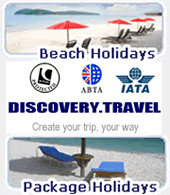 Car Hire is well known as an International business and is well suited to global organisation. Many Thai rental agencies are affiliated with the likes of Hertz, Avis, Budget etc. The differences apply to the local car styling, the local insurance and hire agreements. This will not however make a great deal of difference to you when booking. Prices can vary between airports but tend to be similar to other destinations. When booking you will need to make sure of several elements to ensure the price is as quoted and it covers all eventualities. Collision Damage Waiver (CDW). This may not be optional. 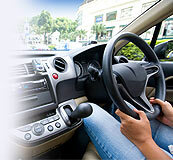 Surcharges for automatics, child seats etc. Fuel surcharges (these can be more expensive if you do not fill the car for its return and will be charged to your card). NOTE: The price does not include Tolls. If you get lost then try asking a local for directions.